There are many ways to work, approaches, movements and points of view, but if there is one thing that unifies the vast majority of real estate investors is the use of the cap rate that in short is the line of comparison between properties in which are interested to be able to establish what will be the best way to use your money and what could be its benefits. 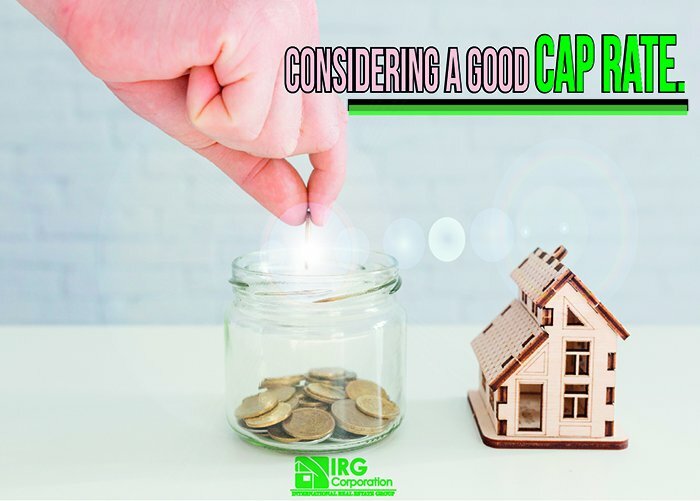 It is important to clarify from the beginning that you can not always use the cap rate as an accurate parameter to put all your attention in a business, for example, if the property in which you are interested has an irregular or complicated cash income the best option for it would be to use another method such as band of investment method or Gordon Growth model that allows you to evaluate correctly and thus make a decision. Now, this cup determines a limit index which is a measure of what could result from your money invested in the short term; A simple way to see it is if we assume that you bought a property for $ 500,000 with a cap rate of 7%, this means that you would get $ 35,000 back after the expenses of each year. risks that any investment could have. In a market as fluctuating and changing as it is real estate, it is essential to be attentive, know your environment, know what to look for and what to discard, so the use of calculations and estimates are an essential tool so that, time to negotiate, have a percentage of security that takes you away from the idea that you will have some loss or that you will make a mistake.